When decorating your home, you need to consider the style that you want, the furniture designs and of course the color combinations. All of these features are really important for decorating a room, so that is why we are always here to get you updated with various ideas, so that you can get inspired. Today, we would focus on one great color combo – the purple and gold combo. 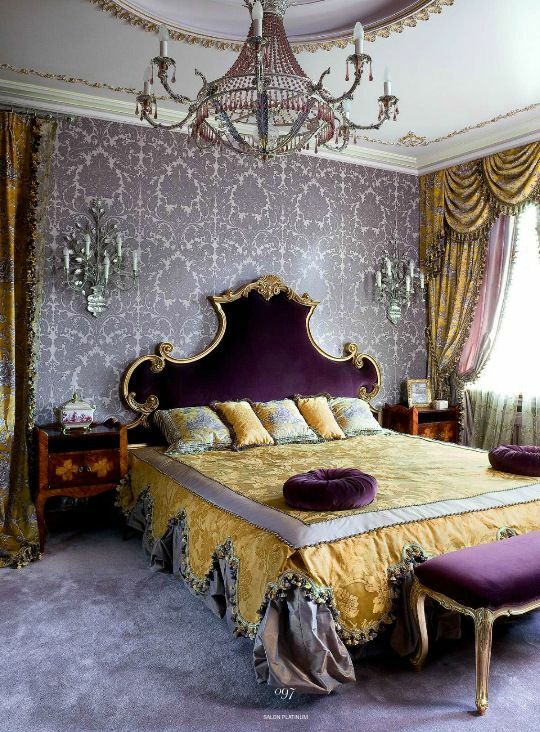 Below, we have made a photo collection of several Wonderful Purple and Gold Interiors, to show you how you can decorate a room with this royal color combination. Purple is the color that is often associated with royalty, majesty and stateliness and when combined with gold, the result is the perfect match. When making this color combo part of an interior design, there are no certain rules of how to use it. Most often, the purple is used as the main, base color and gold is only used for some details. But, this doesn’t have to be a rule and you can do it the other way round. Here are several ideas of how you can incorporate this bold color combo into living rooms, bedrooms, dining rooms and bathrooms. 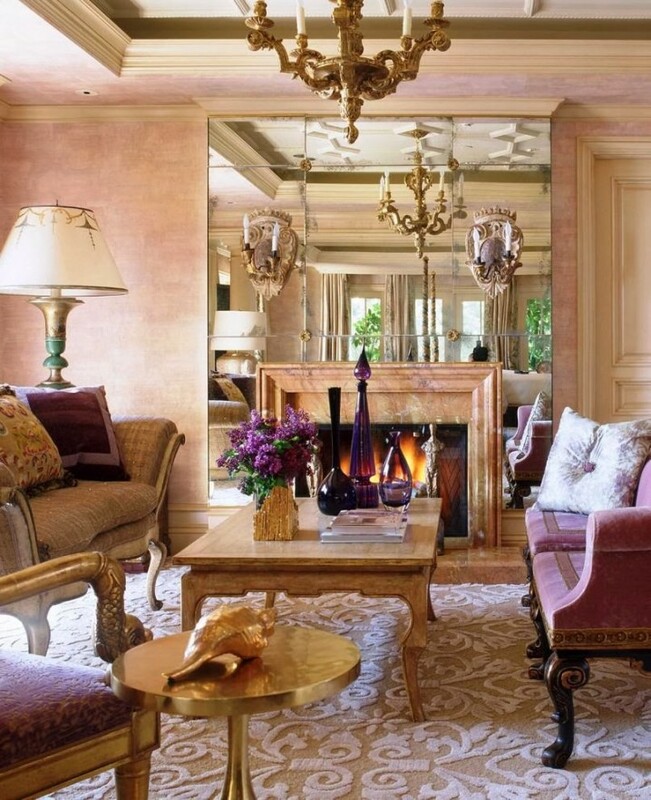 One way to add this color combo into a living room is to go for a purple sofa design and use gold for some details, like picture frames, lamps or curtains. Make sure you keep a balance between these two colors, because too much won’t look good. If you wish to add this color combo into your bedroom, you can either choose such furniture designs. 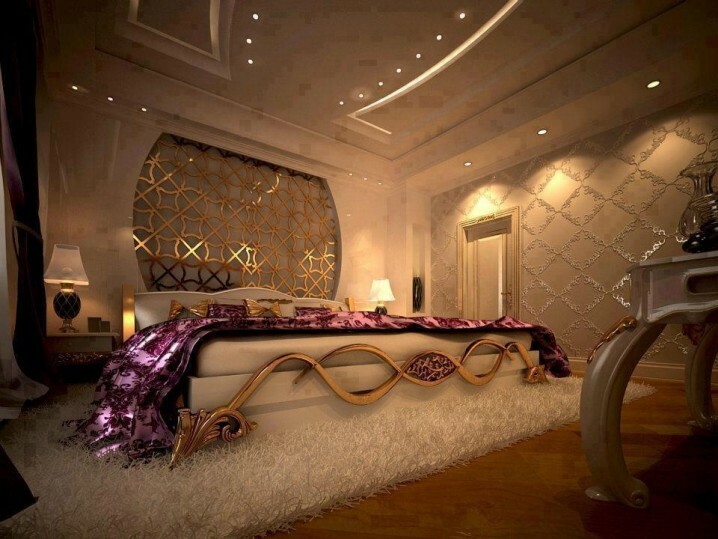 Or you can keep the rest of the room decor in neutral colors and get some bedding in purple and gold pattern. This is a good choice if you wish to make changes constantly. Here are some ideas. 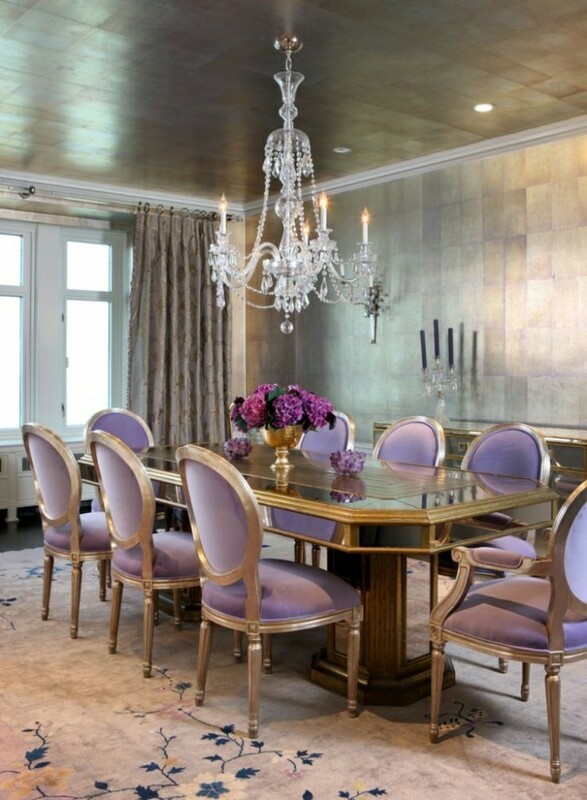 Another place in your home where you can use the purple and gold color combo is the dining room. 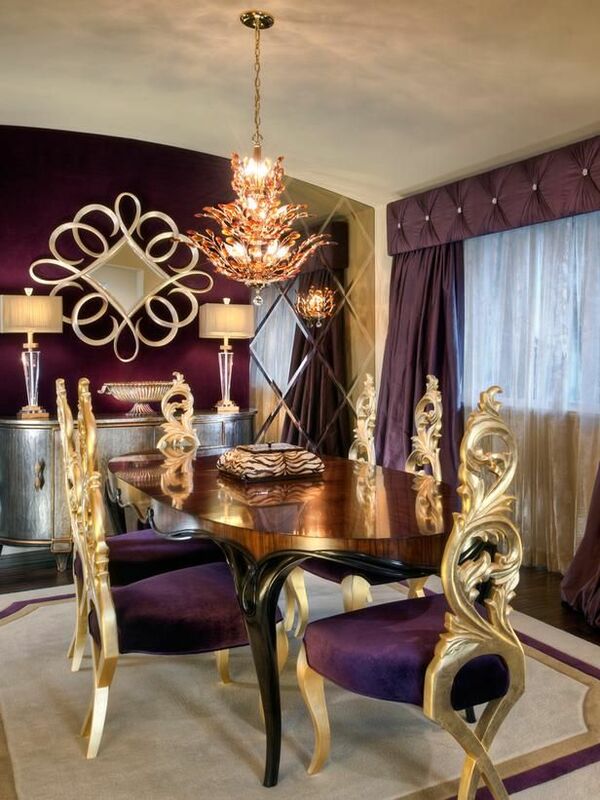 Choose some purple chairs with gold designs, purple curtains and gold chandelier. The bathroom may not be the first place in your home, where you can use this color combo, but it can look great for sure. 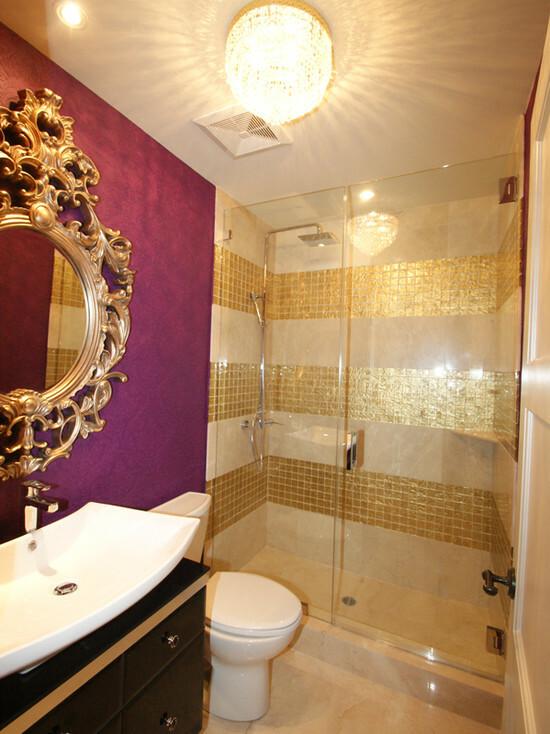 Choose some purple and gold tiles and for the rest of the bathroom decor use white or beige shades. 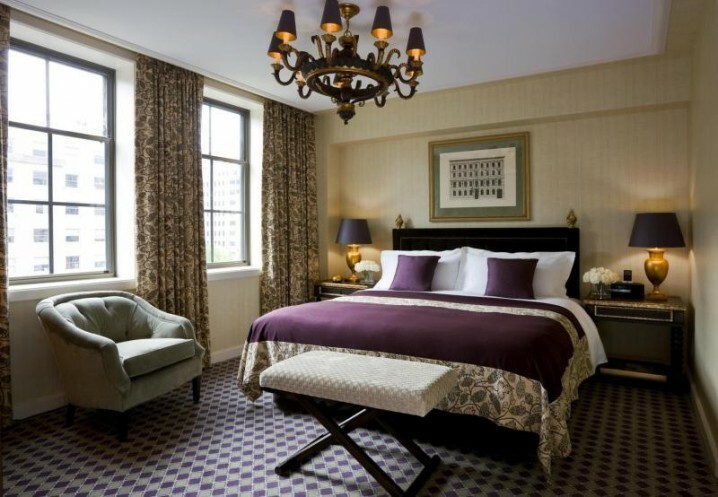 These were the Wonderful Purple and Gold Interiors that we have chosen for you today and we hope that you liked them. Tell us in the comments if you would love to incorporate this color combo into your home. And of course, don’t forget to stay up to date with the content of Top Dreamer to find many other interior design ideas for your home decor.